Fuar Ach Snog is The Executive Shaving Company premium aftershave balm. We have invested heavily in this balm, we want it to be known as the very best mint shaving aftershave balm in the world. Fuar Ach Snog is Scottish Gaelic for 'Cold But Nice' and that's exactly how this luxury aftershave balm feels when applied, cool and ever so refreshing. This is a luxury post shave balm that was not tested on animals, it's vegan, paraben free, alcohol free and artificial colourant free. The packaging is recyclable. Fuar Ach Snog can also be used as a daily face moisturiser. Match up with Fuar Ach Snog Shaving Cream or Fuar Ach Snog Pre-Shave Oil, or, better still, buy all three Fuar Ach Snog products together and save money. After shaving, wash the face in warm or cold water to remove all traces of shaving lather. Pat the face dry with a clean towel. Apply Fuar Ach Snog colling aftershave balm to the shaved area. If you use Fuar Ach Snog as a daily moisturiser use twice daily after washing your face and neck. Dispose of responsibly, the packaging can be recycled. Our advice - use after shaving and after washing your face in the evening. This is a highly effective face and neck moisturiser as well as being one of the best aftershave balms around. It's pleasantly cooling and nicely scented. Good value for money, paraben and alcohol free, 150ml size, easy to use pump dispenser. 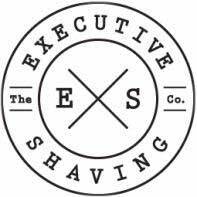 The Executive Shaving Company has come up trumps again.